يشكل فندق منتجع آر إيه سي كاري فالي بموقعه الممتاز في قلب هذه المنطقة الرائعة كنقطة انطلاق ممتازة لاستكشاف المدينة. يسهل الوصول إلى هذا الفندق ذو 3.5 نجوم من المطار، فهو يبعد عنه مسافة 339 km فقط. إن سهولة الوصول من الفندق إلى المعالم السياحية الشهيرة الكثيرة في المدينة هو استثنائي بحد ذاته. استمتع بالخدمات الراقية والضيافة التي لا مثيل لها بهذا الفندق في هذه المدينة رائعة الجمال. يقدم الفندق فرصة للاستمتاع بشريحة واسعة من الخدمات بما فيها: متجر, مرافق مخصصة لذوي الاحتياجات الخاصة, تخزين الأمتعة, موقف سيارات, غرفة عائلية . تعكس غرف الفندق البالغ عددها 60 المنتشرة في طوابق جواً من الدفء والألفة.خدمات عصرية مثل سياسة التدخين - غرف لغير المدخنين متاحة, تدفئة, مكتب, شرفة/ تراس, اتصال لاسلكي بشبكة الإنترنت (تطبق الرسوم) موجودة في بعض الغرف المختارة. صممت خدمات الاستجمام في الفندق والتي تتضمن قوارب, كنو, مسارات المشي الطويل, ملعب مصغر للجولف, تأجير معدات الرياضات المائية لمساعدتك على الاسترخاء والراحة. مهما كانت أسبابك لزيارة المدينة، فإن منتجع آر إيه سي كاري فالي هو الخيار الأفضل لإقامة مثيرة وممتعة. Enjoyed our stay very much. It's a beautiful location, especially with the lakeside rooms. We enjoyed canoeing on the lake and an archery lesson. Wineries and small towns are not far away by car. Pleasant forest walks too. The stars are amazing there at night, especially on the dunes a short drive away. The food in the hotel restaurant ranged from quite average to delicious - hard to know what was going to be good. we love this place very much, we stayed whole day in this resort playing with baby kangaroos, swimming, canoeing and sun bathing. we didn't have enough time to play archery, bicycle riding and seeing waterfalls...so we would definitely come back here again. Pro's: Beautiful location, peaceful, great food at restaurant but dated furniture, good accommodation and nice helpful staff. Con's: Poor activity booking system and communication. No one showed to one of my activities and when questioned I got told I never booked it when I definitely did. When arriving there was only 1 towel in our 4 person chalet, when I told the front desk a staff came with more straight away. Will be a lot better once the renovations are completed. Great Location and relaxing place. Peace and tranquility with onsite restaurant so no need to cook just relax.. Fridge and microwave available for byo drinks and snacks . Just pack clothes and go. Love the activities that were available for you to do things together. Archery, miniature golf, canoeing, hiking... Birds coming to our balcony was fun. Kangaroos in the wild. If you love nature, this is a fun place for couples, families and groups. It was my dream to be in Karri Valley for my 50th b'day with my family. The mystical world of nature surrounding the valley was what I need. The striking view of the forest and the beautiful lake made me lost in my own world! My third time in Karri Valley and each time felt like it was the first!!! 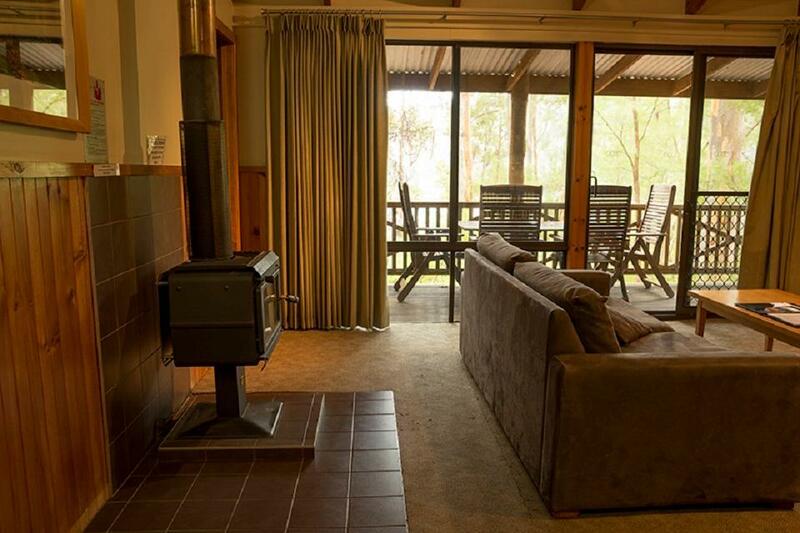 I love karri valley resort. So many things to do and good accommodation. 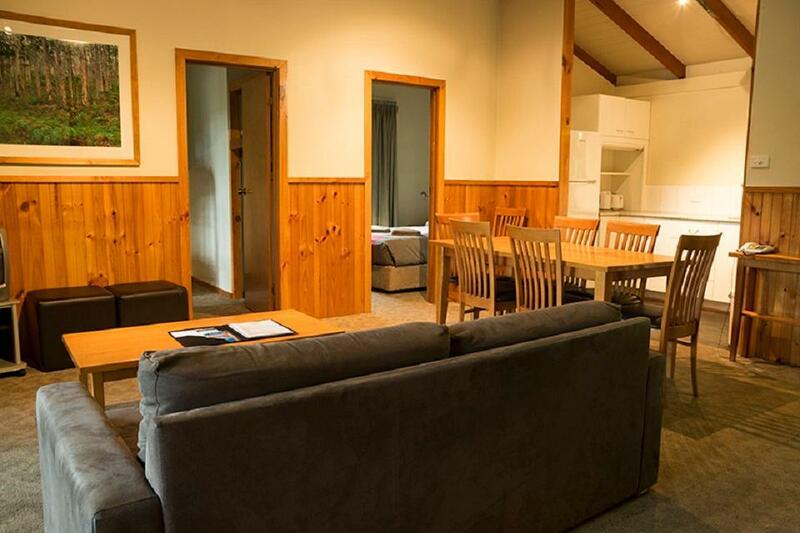 I was disappointed that the chalets only have DVDs and not access to TV channels when the lake rooms do? This needs to be advertised better. The restaurant is lovely- always have a nice meal here but shame by trout had bones throughout it (also not sure about bright green mint ice cream). There were chalets making a lot of noise (til after midnight). I felt bad for those families closer to them who couldn't sleep. Amazing walking trails, activities like mini- golf and archery. Just shame there's no wifi or to- but if you want to be totally uncontactable this is the place for you! We absolutely loved it at Karri a Valley Resort. We had a 3 bed chalet which was gorgeous and amazingly cosy considering how cool it was outside. We loved the activities, the meal at the restaurant ( make sure you book a table though! We didn't but they managed to squeeze us in!) the location, all the staff were so helpful and attentive. We're now planning another trip down but with all our extended family next time. Highly recommend! Wow. We had wonderful stay and never stopped talking about it even after 2 years. The room is small but it comes with a balcony which you could fish and catch some crayfish or fishes. Water is just underneath your room. Cool isn't it? Food in the restuarant is first class and to end your evening with a glass of wine.... Perfect! Only issue which is a big one.... do not expect to be connected on the internet. The place is too remote to be connected on your mobile. Decent stay but we were only there for one night, and did not manage to enjoy everything the resort had to offer. Overall pleasant, but a touch too cold at night as the fireplace was only situated in the living room and hence toilets and bed rooms were left pretty cold. Stayed here in a group of 4 and chose a 3 bedroom chalet so that we could have more space and use the wood burning fireplace. It's such a relaxing spot, there is no cell phone reception or wifi; so it's a good chance to get disconnected from the world. 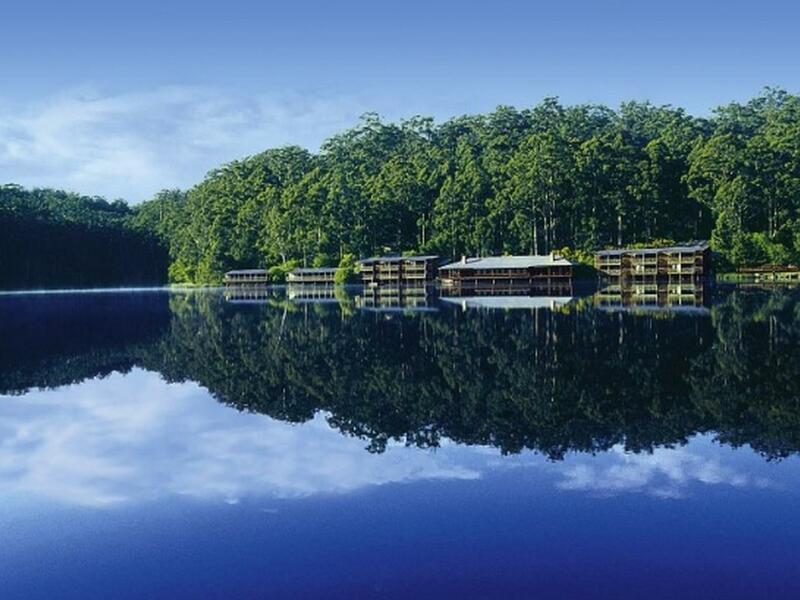 Go for an early morning walk, try out the myriad of activities on offer ($10/day pass) - fish in the lake, cycle around (on bicycles that have seen better conditions); play with the resident kangaroo... The accommodation facilities are not the newest or shiniest, but they are sufficient for a basic short trip and seen positively, would encourage you to leave your room to enjoy the natural surroundings. We checked in rather late at 6pm as we drove down from Margaret River. But the inflexibility of the hotel and activities centre was rather disappointing as they did not offer any activities even though we just wanted to rent the fishing rods and they said the centre closed 30minutes ago. They were not very willingly to offer other alternatives and we had to check the maps ourselves to make our way to the small town 30 mins away to look for options which were available but the hotel staff insist there was nothing till the next day including meals. There was no wifi and no network reception at all even for calls so you are really secluded from the world if you would like it this was. The lake was a really beautiful sight and you will love the nature surroundings with all types of birds visiting your balcony for food and ducks in the pond as well. 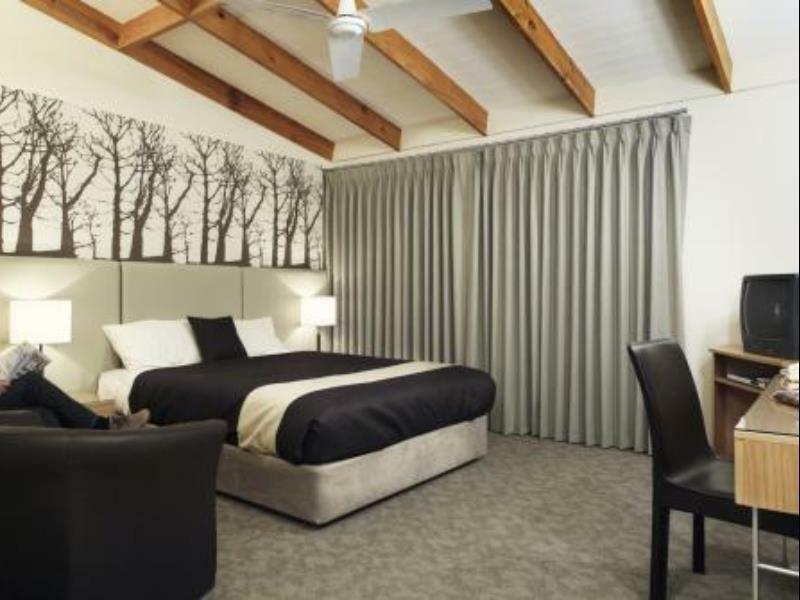 We've always wanted to stay at Karri Valley Resort but it 'looked expensive' until we actually checked it out for Easter trip. It is affordable and we get a hotel room by the lake. Clean & spacious room (tho we hope the laundry + basin area could be smaller to allow for another single bed to be fit in), friendly front desk. Lots of activity in the natural playground but we only managed to go for a short trail walk due to tight schedule. Will definitely come back again! The staff were extremely friendly, helpful, and made us feel very welcome. The location, surrounding forest an view from the balcony over the lake was amazing. The only downfall (especially considering what we paid for the lakeside room) was the lack of air conditioning, which made the room uncomfortable on a hot weekend, the tv had almost no reception...but hey, who goes on holidays an watches tv, when there's endless activities provided!? The sand flies are awful in summer so be prepared an take some extra strong insect repellant.